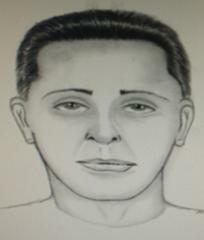 Wanted suspect is battering women walking in the area of 97 Ave and Sheridan St, by touching them inappropriatley. The Pembroke Pines Police Department needs your assistance in identifying a suspect who has targeted adult women who are walking in the East Pembroke Pines / Cooper City area. The suspect has been reported approaching women on a bicycle, parking, walking up from behind, and battering his victims by grabbing their breasts, buttocks and groin area. The suspect is described as a white male, 17-30 years of age, 5'07, 170-180 lbs, clean shaven, dark short hair, and skinny body type. Anyone with any information regarding this case is urged to contact the Pembroke Pines Police Department at 954-431-2200.